← Reason for disappearing British Overseas Voters too? 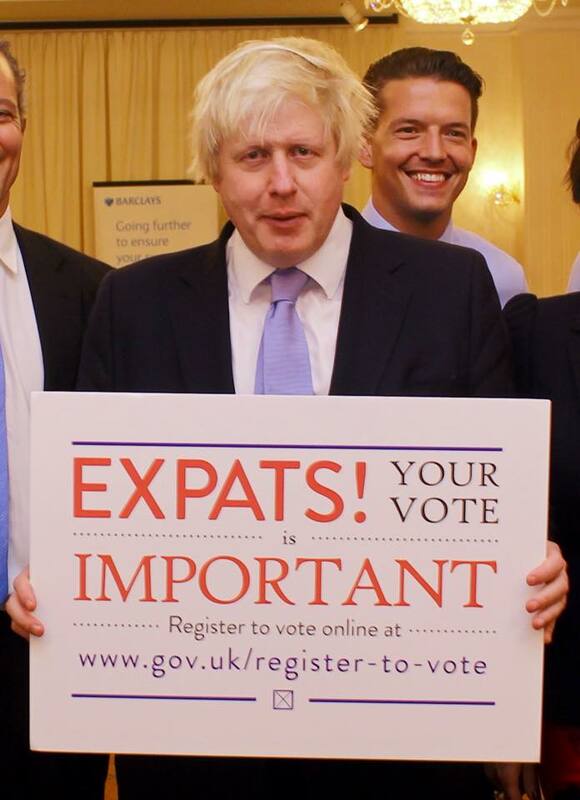 Boris Johnson Urges British Expats to Register to Vote! London Mayor Boris Johnson in Singapore urging British expatriates to register to vote on www.gov.uk/register-to-vote . With only an estimated 1% of British expatriates actually registered to vote ( 20,000 – 30,000 out of 2 – 3 million), shouldn’t you take some 5 minutes of your time to much more conveniently register on-line to vote, although many of us (another estimated 2 – 3 million) still find ourselves excluded by the 15-year-limit. We are trying to reach a first target of 100,000 registered overseas voters in time for the next general election in May 2015. This entry was posted in +5 million British Expats Abroad, 100000 Overseas Voters, Anomaly of Voteless Expat Brits in EU, Benefits of Internet Voting, Bojo Urges Expats to Vote, British expats can help decide, Brits Abroad: Get your voice heard!, Disappearing Overseas Voters?, Electoral Commission and tagged 15-year-rule, 2015 General Election, Boris Johnson, British expatriates, Individual Electoral Registration. Bookmark the permalink. 1 Response to Boris Johnson Urges British Expats to Register to Vote!